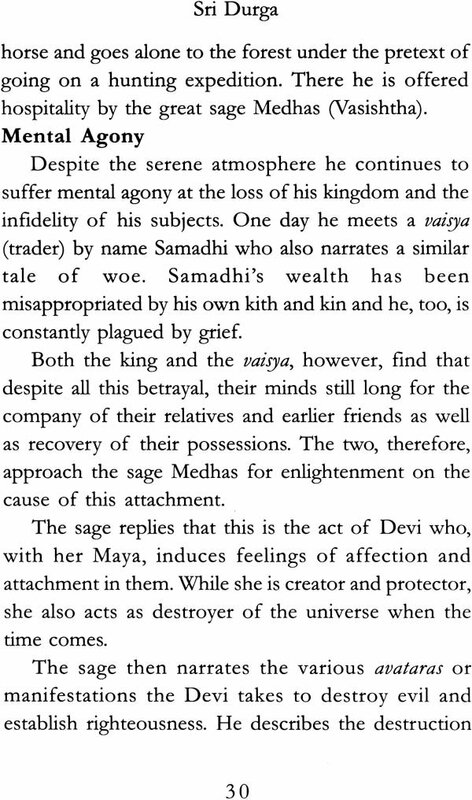 Sakti manifests in various forms to protect the good and destroy evil. 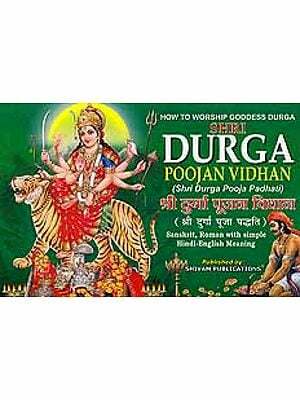 She is benevolent as well as belligerent in the forms of Durga. 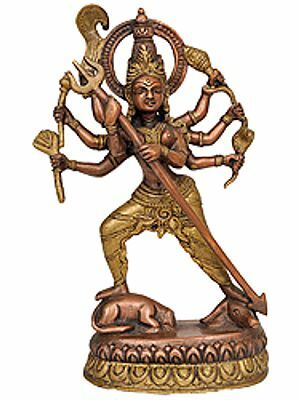 The Durga Saptasati glorifies her as a composite of Maha Lakshmi, Maha Sarasvati and Maha Kali. This concept is confirmed in the Durga Puja performed in Bengal and other places of this country. This book mainly deals with her supreme valour and exploits. 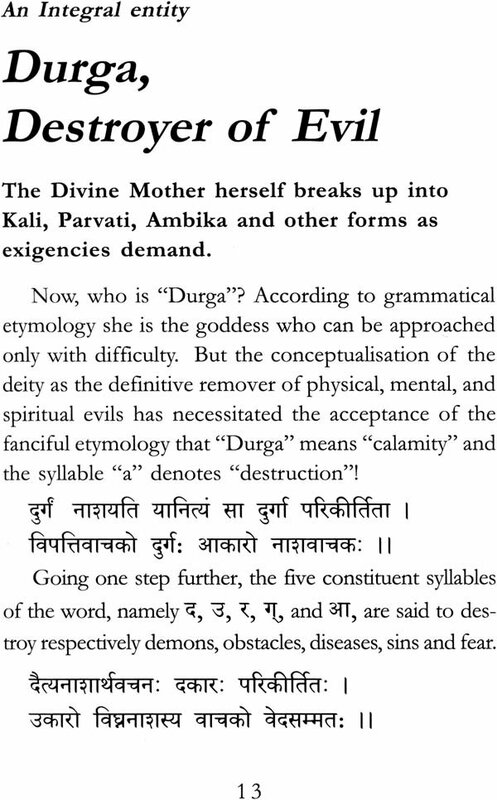 One article points out how the divine mother, though an integral entity, breaks up into Kali, Parvati and Ambika, as exigencies demand. 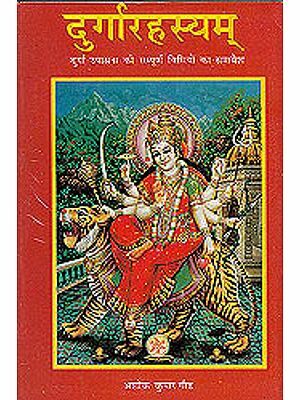 She is the supreme power and the dynamic aspect of Brahman. This Upanishadic eulogy of the goddess is highlighted in two articles. 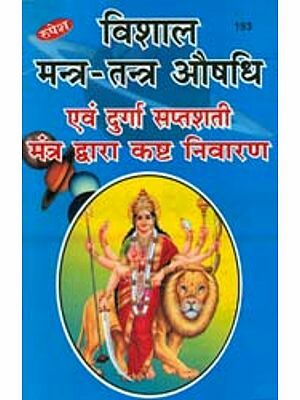 The 18 verses of Durga Chandrakalastuti, with meaning, are given in an article, the author of which points out that in times of distress it brings about miraculous relief. 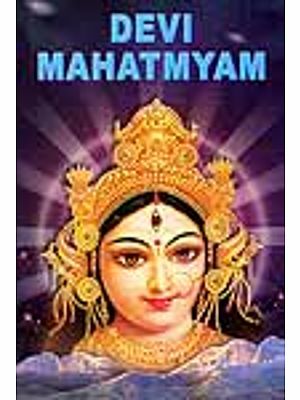 These verses condense the essence of Devi Mahatmyam and will be found useful by many for daily recitation. That the Divine Mother, though tender and benevolent, surely puts her foot down on injustice and tyranny is shown in another article. 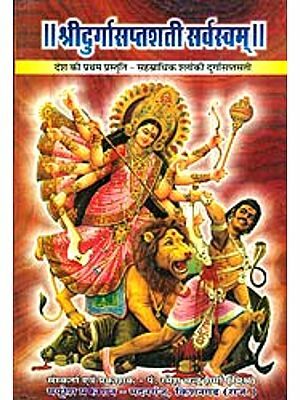 Kali worship, as a form of Durga worship, is practiced in India from ancient times and is widely prevalent in Bengal even today. How the Vedas and the Puranas sing her glory is the highlight of another article. 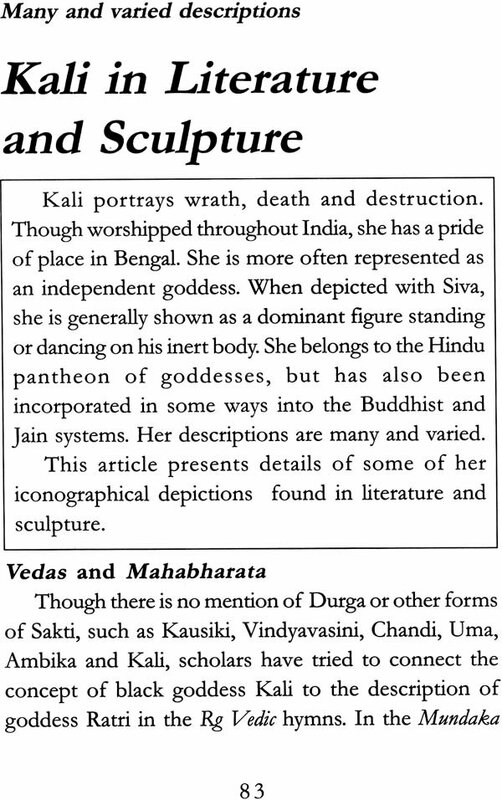 That she is the repository of all unmanifested worlds forms the theme of another write-up on the subject of Kali in Ratri Sukta. 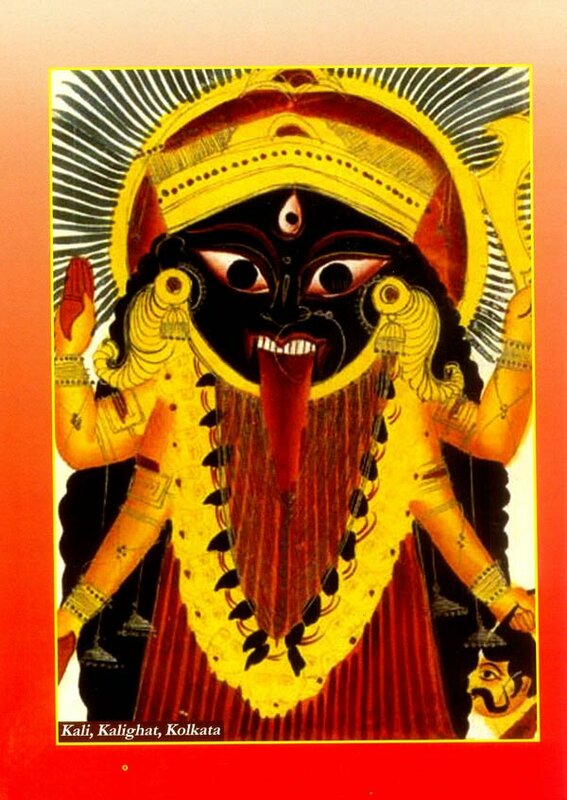 Kali is that aspect of Adi Sakti which is associated with destruction. 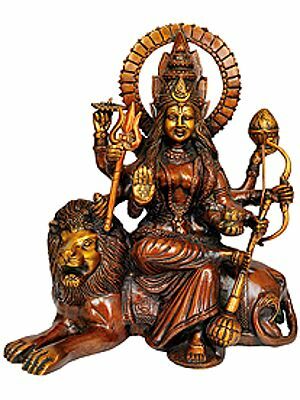 However, being inseparable from Siva, she is auspicious. 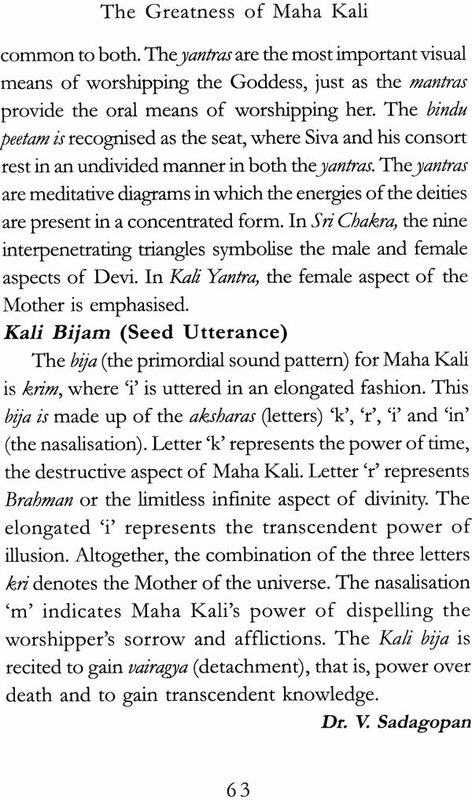 This is elaborately explained in the article on Kali Tattva. 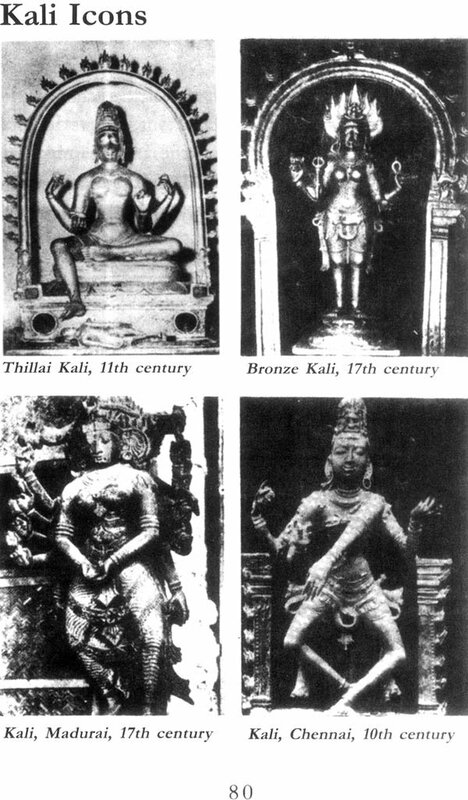 Kali is portrayed in various forms. 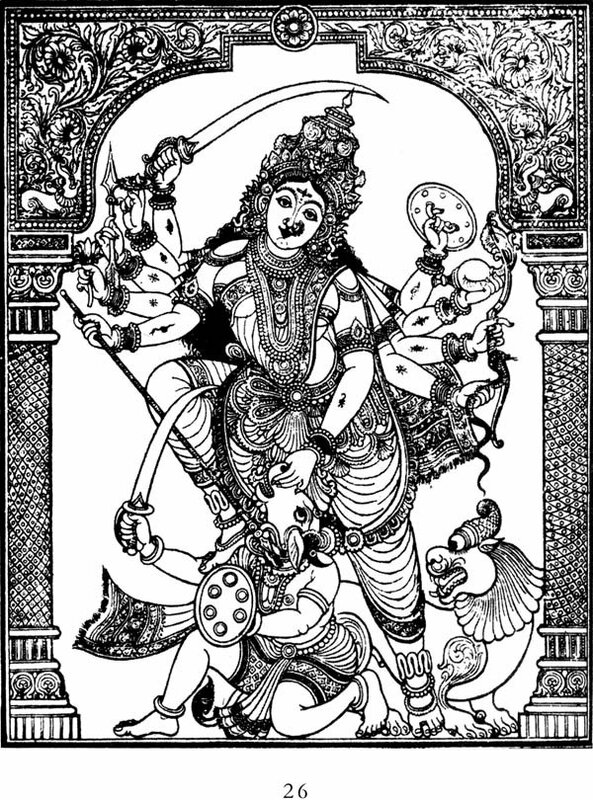 She is the consort of Siva, but she is often represented as an independent goddess. Though mainly belonging to the Hindu pantheon, she has been incorporated in some ways into the Buddhist and Jain systems. 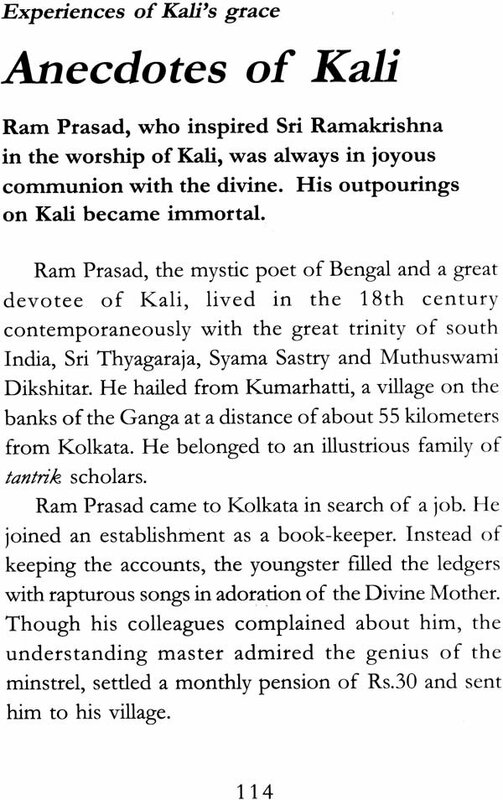 All these facets and other aspects in literature, together with icons of Kali, are featured in another article. There are legends galore about the prowess of the goddess and she is worshipped in unique temples. This book throws light on these aspects as well.